This three-part workout builds all-round strength that will mean you’re ready to take on any fitness challenge. 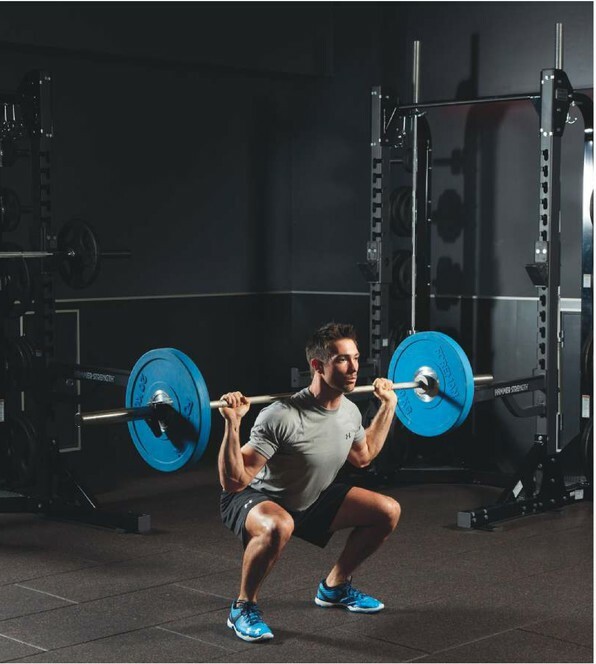 It starts with a barbell workout featuring two supersets of big bang-for-your-buck classic exercises, allowing you to lift heavy weights and build a real base of strength. 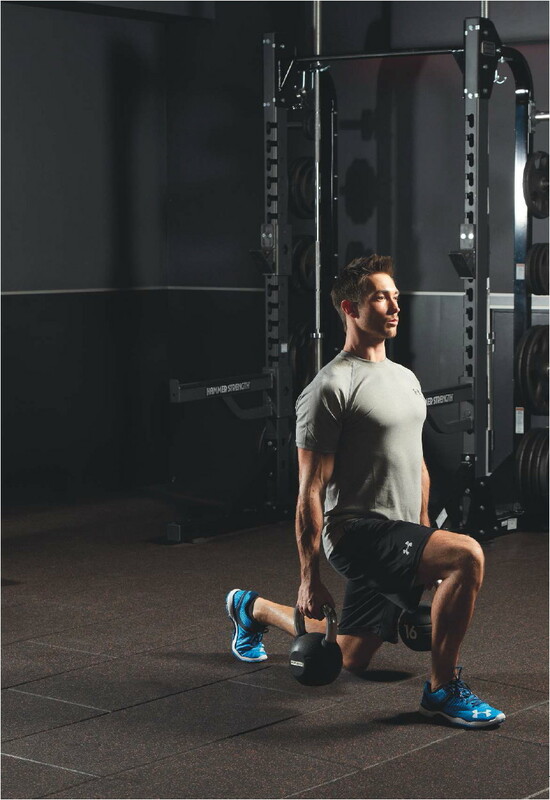 The second session is a kettlebell workout that will build your hamstrings and glutes as well as developing a rock-solid core and enviable grip strength - one of the keys to getting really strong. The final session is a medley of dynamic moves, consisting of walks and carries with various bits of kit that each pose a different fitness challenge. It also includes a battle rope move, which will fry your biceps and grip while melting away body fat. Do each workout once a week for four weeks, leaving at least 48 hours between workouts. This workout is made up of two supersets, which means you do one set of the first move followed by one set of the second, rest, then repeat. Follow the sets, reps and rest as shown. Take the bar out of the rack so it rests on your trapezius muscles. Take two big steps back, ending with your feet roughly shoulder-width apart and toes pointing out slightly. Keep your spine in alignment by looking at a spot on the floor about two metres in front of you, then sit back and down as if aiming for a chair. Descend until your hip crease is below your knee. Keep your weight on your heels as you drive back up. 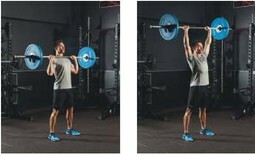 With your feet shoulder-width apart, position a bar on your upper chest, gripping it with hands just wider than shoulder-width apart. 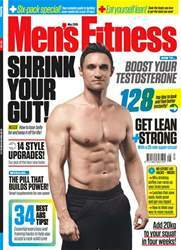 Brace your abs, glutes and quads as you press the bar straight upwards. Pause at the top, then lower. You might find you can lift more weight by wrapping your thumbs around the same side as your fingers, because it keeps your forearms in a better position. Grip the bar with hands slightly wider than shoulder-width apart and squeeze your lats together to create a pressing platform before you take the bar out of the rack. Watch the ceiling to ensure you’re pressing in the same line each time. Lower the bar to your chest, aiming to brush your T-shirt without bouncing. Press up powerfully, pause at the top, and then go into your next rep. Hold the bar with a shoulder-width grip, bending your knees slightly. Bend at the hips until your torso is at roughly a 45° angle to the floor. Pull the bar up to touch your sternum and then lower under control. 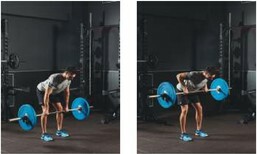 If you need to move your upper body to shift the bar, the weight’s too heavy.